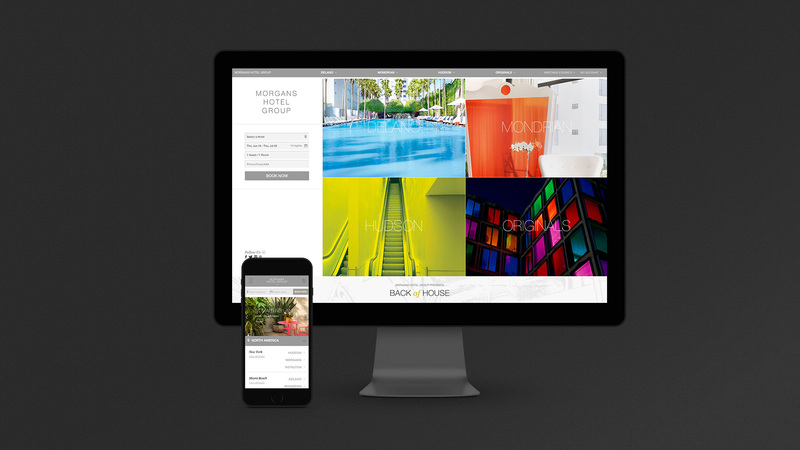 Redesigning the Morgan’s booking experience for a 23% increase in online conversion. 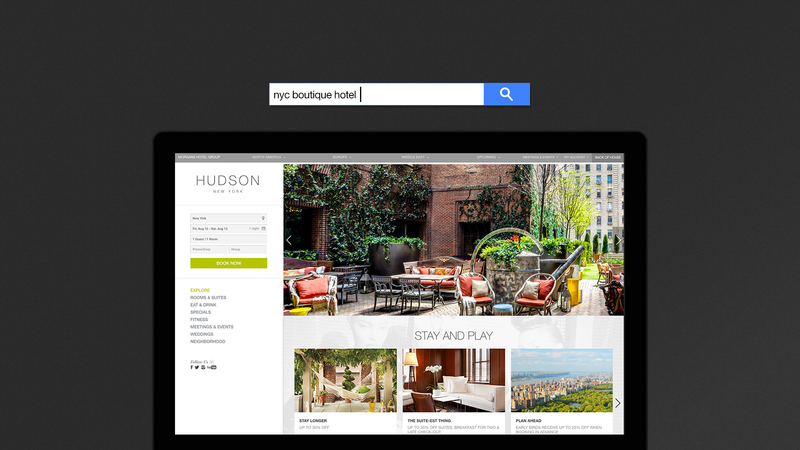 How can we use digital to take a boutique hotel chain global? Multiple properties are united under one brand to create a cohesive experience. 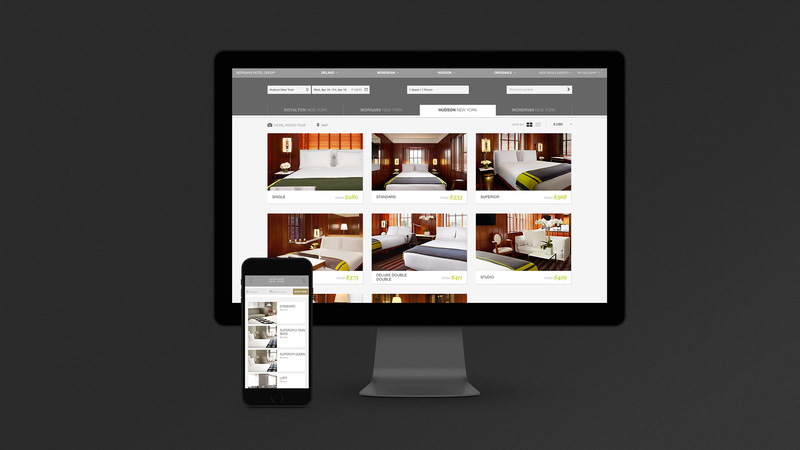 Users easily navigate across properties to browse rooms during the booking process. The old booking process was streamlined from seven steps to just three: choose dates, number of guests and room. Four dynamic entry points allows the experience to be put in context with the user’s search behavior. 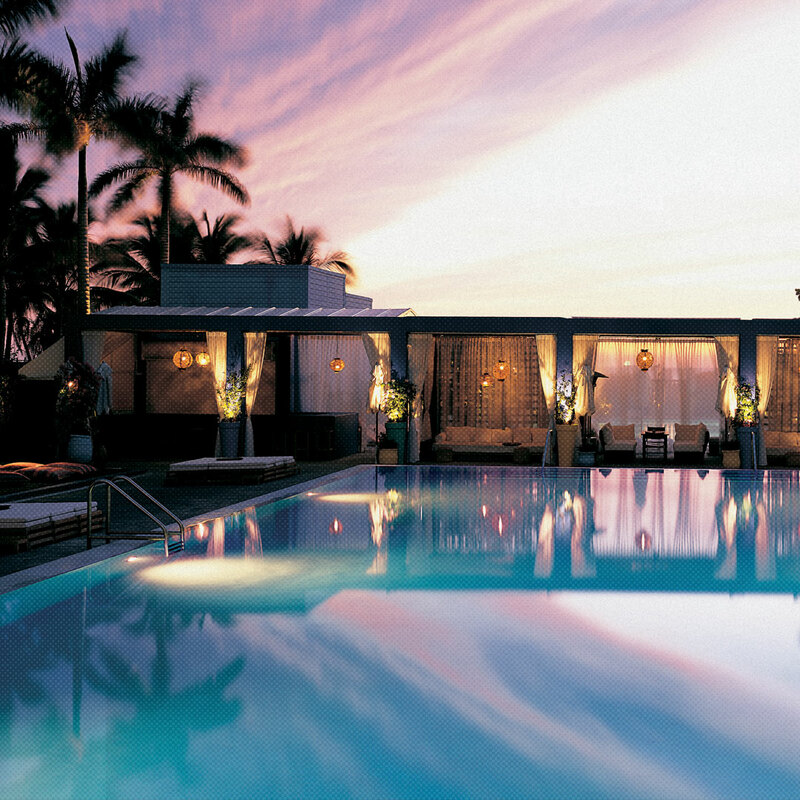 Morgan’s Hotel Group has a portfolio of unique boutique hotels across the globe. We wanted to create a boutique feel and provide a taste of boutique service for their global digital presence. The new Morgan’s Hotel Group website is a living hub that showcases its various properties, allows people to book their perfect trip and gives access to the hottest happenings in each city. We created everything from the wireframes to the design to the front and back end development, working closely with our partners to develop a seamless booking system and reservation management system. We worked with over twenty vendors and integrate thousands of pieces of data. We also created a custom content management tool so the Morgan’s team could easily update content moving forward. The redesign resulted in a 23% increase in online conversion. The hub will continue to grow as Morgan’s expands their global presence, reaching boutique hotel aficionados from around the world. 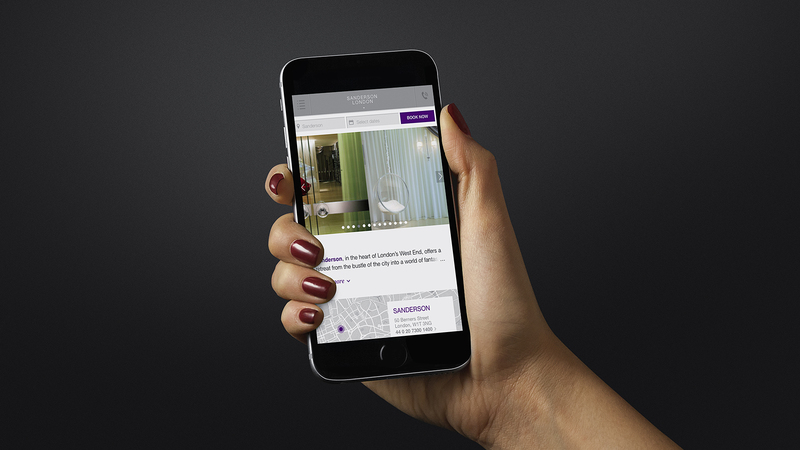 The new Morgans Hotel Group website is a living hub that showcases its various properties, allows people to book their perfect trip and gives access to the hottest happenings in each city. We created everything from the wireframes to the design to the front and back end development, working closely with our partners to develop a seamless booking system and reservation management system. We had to work with over twenty vendors and integrate thousands of pieces of data. We also created a custom content management tool so the Morgans team could easily update content. The hub will continue to grow from here—as Morgans continues their global expansion, their online presence will continue to evolve, reaching boutique hotel aficionados from around the world.